How to crop an image? Find a step-by-step tutorial. You are here: CoolUtils > Total Image Converter > How to crop an image? Find a step-by-step tutorial. Why Would You Want to Convert GIF to GIF? 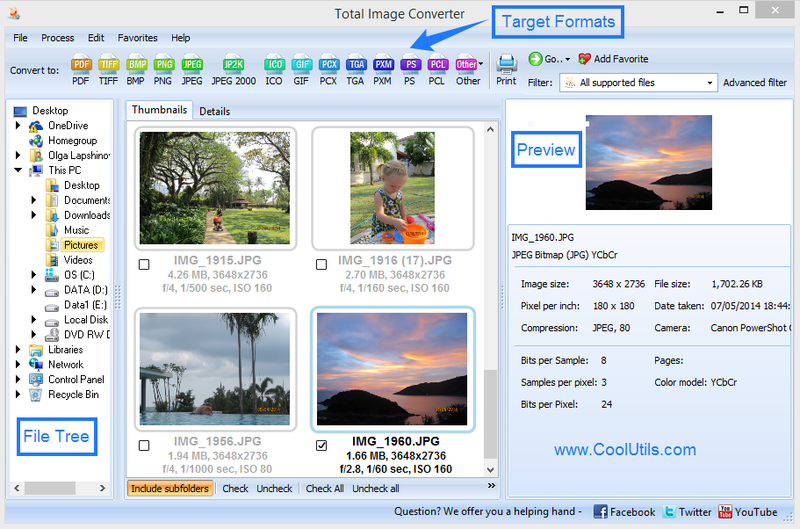 Among the numerous features our Total Image Converter makes available, one might look weird at the first glance. It is “Convert GIF to GIF”. But when you start thinking about it, you will soon see that there is nothing weird about it. 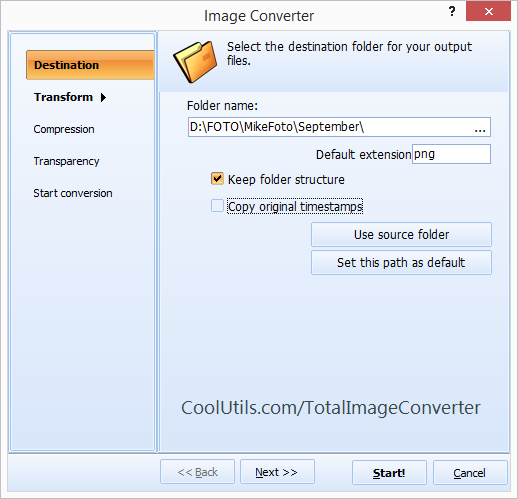 Total Image Converter allows you to resize your GIF images, rotate them or change the color palette. If you are a web designer, you will agree that these tasks are an integral part of your everyday routine. You often need to resize a huge photo to turn it into a small part of your black-and-white (or blue and white) collage; if the photographer had turned the camera 90 degrees clockwise while photographing the object, you will need to rotate the image before you can actually use it. It, most likely, will be the JPEG to GIF case (something Total Image Converter is also capable of), but then again, one day you might want to change the layout of the site slightly but keep the same general look and concept. That’s where the “GIF resize” feature of our software can come in very handy. Probably, you will also need to change the main color of the image slightly. But let’s say you are not a web designer, but rather a web surfer, and love participating in forums. You’ve got a nice avatar (for some reason stored in GIF), which is 120*120 pixel in size, but a new forum you have just registered at, only allows 80*80-pixelled avatars. Total Image Converter will come to you rescue. A few simple button clicks, and here you go. Notice that if (because of a strange whim of the forum administrator) only JPEG avatars are allowed here, you can convert your original GIF to JPEG just as easily. Life can bring us many other reasons to want to convert GIF to GIF. Notice that Total Image Converter is one of the cheapest solutions currently available online, and yet the quality of the converted (resized) image will be as high as you might ever need.